There are plenty of wireless options in the audio tech space. While some companies bet on revolutionary performance and a captivating sound experience, others are looking at ways to make their products visually distinctive. Motorola has a unique take on it and its new audio offering – Motorola Sphere+ – will definitely catch your attention. 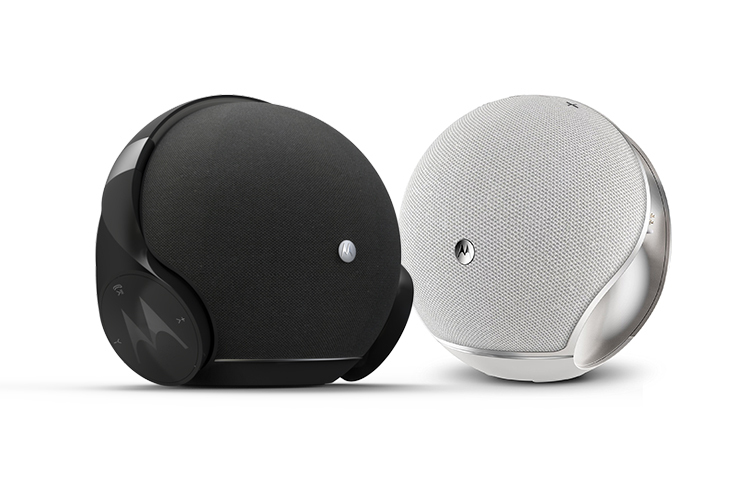 The Motorola Sphere+ is a combination of a Bluetooth speaker and a pair of wireless over-the-ear headphones that is now available in India for ₹12,999. Motorola’s main idea behind the configuration is to allow users listen to audio through the speakers and seamlessly continue the same experience over to headphones without having to re-connect devices. It is manufactured by Binatone, just like other audio accessories which sell under Motorola’s brand name. 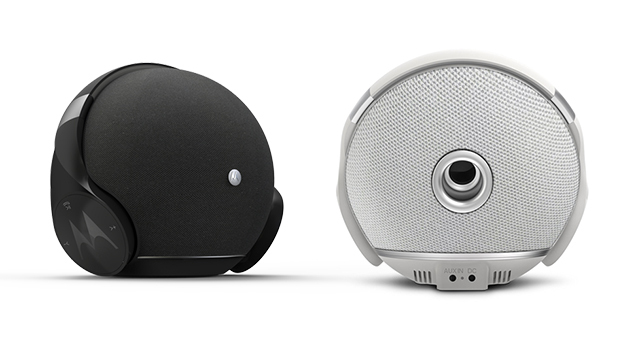 The spherical base, which looks to be the size of a bowling ball, packs two 8W speakers and a microphone. It doubles as the charging dock for the Bluetooth headphones which sit neatly over the music ball and features an AUX-in jack to facilitate wired connections. The Sphere+ also offers protection against overcharging and overheating. The peppy, curvaceous design of the wireless Motorola Pulse Escape noise-canceling headphones looks to be inspired by Beats by Dre headphones. Motorola claims a battery backup of 20 hours with these headphones, but taking into consideration that you’ll snap them back on the dock when you’re not listening, battery backup shouldn’t be a problem – save in special cases like traveling. The right earcup features capacitive buttons for controlling volume and playback. The headphones also pack a mic for taking calls on the go. Both – the speaker and the headphone – earn brownie points in terms of durability as they come with IP54-certified dust and water resistance. Further, both units are compatible Google Assistant and Siri but you’ll require your smartphone to deploy the voice assistants. The combo is available in Black and White colors. 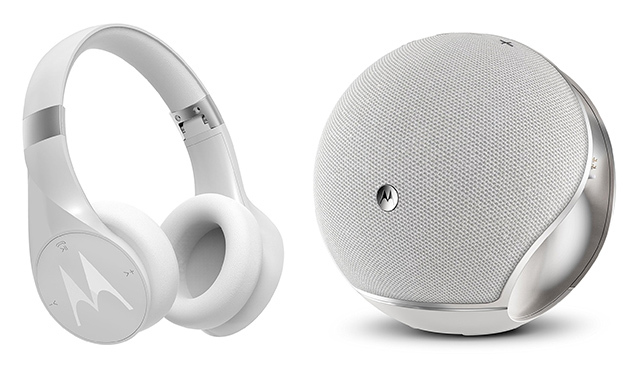 Overall, the Motorola Sphere+ seems to be a harvest of innovation and experimentation that offers a unique proposition against the likes of JBL Pulse 3, Bose Soundlink Color, and UE Boom 2 which are available for similar prices.